ANTs computes high-dimensional mappings to capture the statistics of brain structure and function. 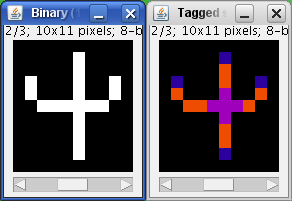 This plugin tags all pixel/voxels in a skeleton image and then counts all its junctions, triple and quadruple points and branches, and measures their average and maximum length. he tags are shown in a new window displaying every tag in a different color. You can find it under [Plugins>Skeleton>Analyze Skeleton (2D/3D)]. See Skeletonize3D for an example of how to produce skeleton images. The voxels are classified into three different categories depending on their 26 neighbors: - End-point voxels: if they have less than 2 neighbors. - Junction voxels: if they have more than 2 neighbors. - Slab voxels: if they have exactly 2 neighbors. This workflow classifies, or segments, the pixels of an image given user annotations. It is especially suited if the objects of interests are visually (brightness, color, texture) distinct from their surrounding. 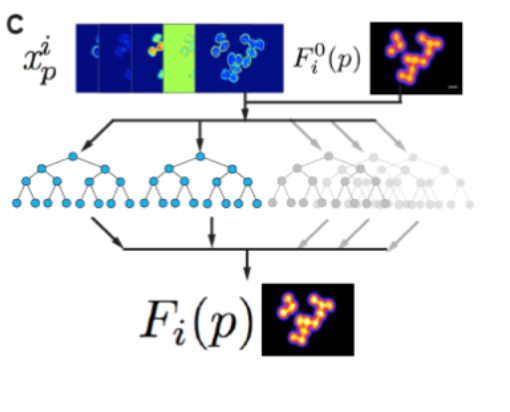 Users can iteratively select pixel features and provide pixel annotations through a live visualization of selected feature values and current prediction responses. Upon users' satisfaction, the workflow then predicts the remaining unprocessed image(s) regions or new images (as batch processing). 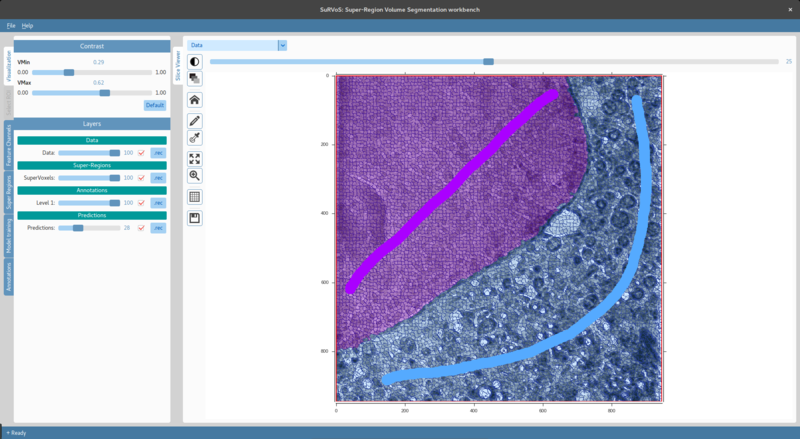 Users can export (as images of various formats): selected features, annotations, predicted classification probability, simple segmentation, etc. 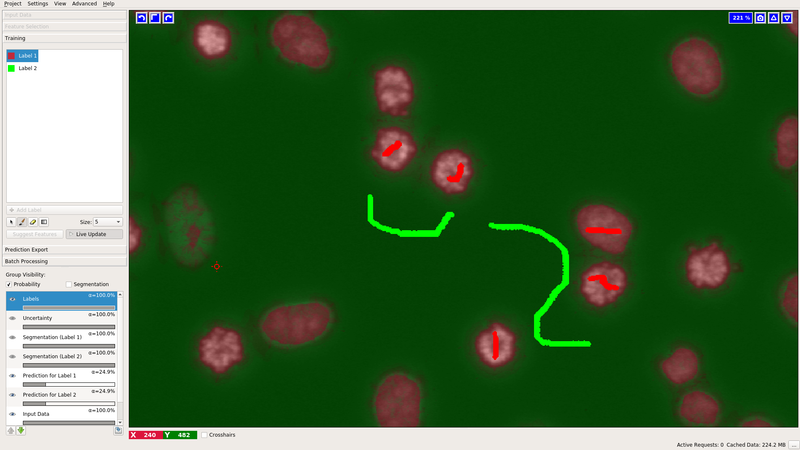 This workflow is often served as one of the first step options for other workflows offered by ilastik, such as object classification, automatic tracking. This macro batch processes all the 2D images (tif and jpg files) located in a user defined folder by calling Fiji Weka trainable segmentation to classify each pixel, and reports the areas of each class in a human readable results table. The classifier to be applied to each image should be previously trained on a representative image by an expert and exported to file (Save classifier) into the image folder to be processed.